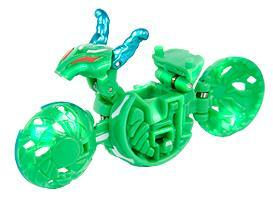 Ramdol is an unreleased motorcycle-like Bakugan. It's face and horns resemble those of Dharak. Its Ventus version has 1030 Gs, Darkus has 1050 Gs, Pyrus version has 1020 Gs, and its Aquos version is 1000 Gs. It is Battle Gear compatible. It evolves from a BakuMetalix bakugan under 700 Gs. It will be officially released in November/December. Purchase your Ramdol from Amazon now!